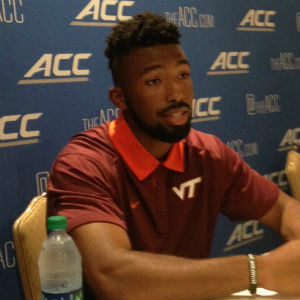 Virginia Tech cornerback Kendall Fuller underwent season-ending right knee surgery on Tuesday. Fuller, a second-team All-America as a sophomore in 2014, missed Saturday’s 35-28 loss at East Carolina. Mike Goforth, the associate athletics director for sports medicine at Virginia Tech, said Wednesday that Fuller had suffered a torn meniscus in training camp in August and played the first three games of the 2015 season with the injury. “After this past weekend’s game, it was decided that surgery would be the best option moving forward, and Kendall will miss the remainder of the 2015 football season. The procedure was performed Tuesday morning and Kendall is expected to have a full recovery,” Goforth said.